I read a headline this morning: “Organisation embarks on succession planning as CEO plans to retire”. Really? A little too late, I thought! Why is it so hard to understand that in order to pursue a growth strategy, sustainability and to unlock value, your key competitive advantage lies in effectively and efficiently managing your talent. Create an enabling environment and conditions to ‘harness potential and enhance performance’ of all our employees. 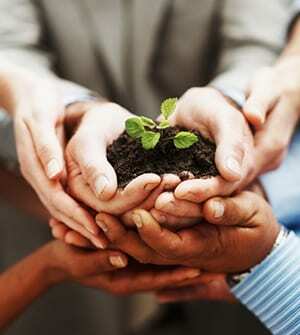 Attract and retain employees who are key to the continuity and sustainability of our business. Implement a shared mindset, values and common practices throughout the company for a much-more proactive and responsive approach to talent issues. Ensure the establishment of successor and talent pools for critical roles and effectively maximise the retention of key talent and critical skills. Accelerate the development and growth of identified key talent as well as expedite the implementation of targeted development actions for underperformers. Provide all employees with a clear and transparent career path framework and competence standards to support career growth, develop their skills for a range of future possibilities, and offer fulfilling work experiences. I also believe that there are several factors, which will strongly influence the achievement of future success in Succession and Talent Management. Attention needs to be paid to these factors during the planning and implementation journey. Integration – internally the Succession and Talent Management activities within the organisation must be integrated across the business functions’ responsibilities / accountabilities – to leverage the scale of opportunities available to the organisation in the areas of talent mapping, retention and pipeline management / transitioning, and skills / capabilities. Empower Leadership – align leadership capabilities to business requirements to focus primarily on strengthening the leadership brand, and the ability of business leaders to deliver exceptional results through people ensuring on-time delivery of the value proposition and maintaining the competitive advantage. Create organisation-Wide Capability – build organisational and individual capability to carry out strategic and operational activities through infusion of in-house people management expertise and wherever possible by developing institutional-base thereby leveraging industry best-practices within internal knowledge to help in raising the capability and competence profile. Focus on close working relationships between line management and staff, build employee engagement and enhance the brand, and utilize necessary technologies to help develop the required capabilities. Putting in place sufficient emphasis on change management and stakeholder engagement to drive a very extensive change and communication activities required to cause the desired changes to happen across the organisation. Alignment with The Strategic Objectives – it is important that Succession and Talent Management be, and remain, aligned with the organisation’s strategies and Divisional Critical Success Factors. Good on going communication and utilisation of a scorecard mechanism will be required to ensure this is the case.